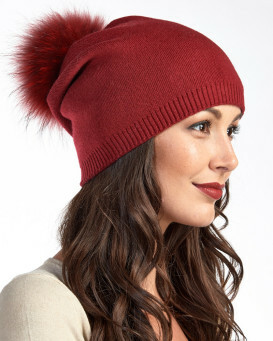 Get vibrant in our Lyric Red Slouchy Beanie with Finn Raccoon Pom Pom for women. 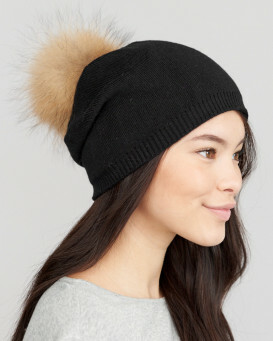 The removable pom pom is crafted with dyed Finn raccoon fur with natural highlights. 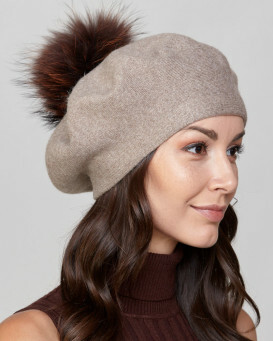 The shell matches the accent with 50% wool, 30% nylon, and 20% viscose materials. 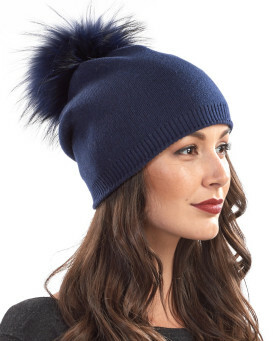 This double lined material is tacked in the back of the beanie for a slouchy style. 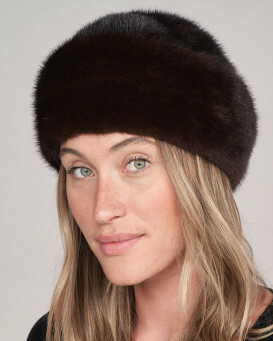 A one size fits all effect creates a lightweight appeal on your head. 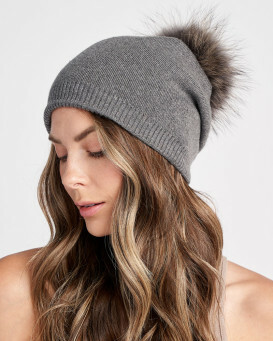 This beanie is great for a gift or to keep you warm in the chillier months. 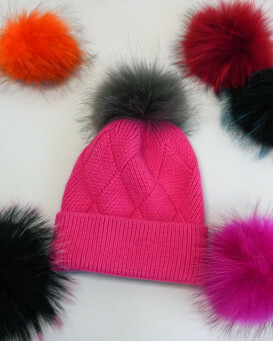 Don this pretty cap with any outfit for the best appeal.